The light and airy effect of baby's breath adds a wispy quality to floral arrangements, wedding bouquets and crafts. 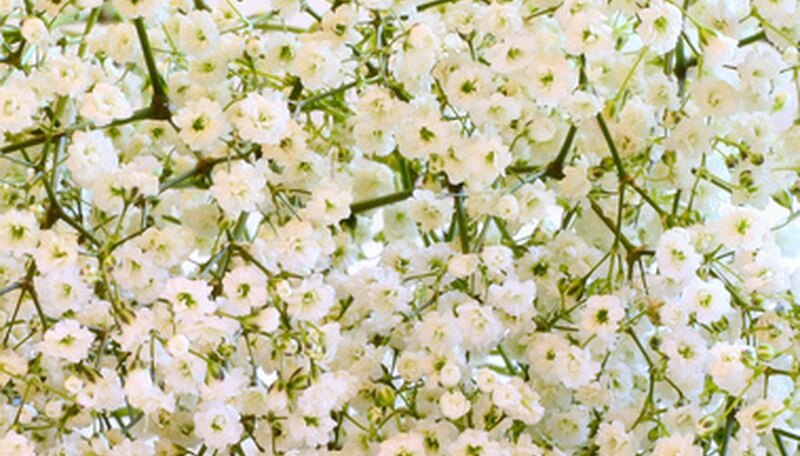 Gypsophila or baby's breath is a mass of tiny perennial flower clusters on multiple stems. The plants are grown in flower beds or gardens. 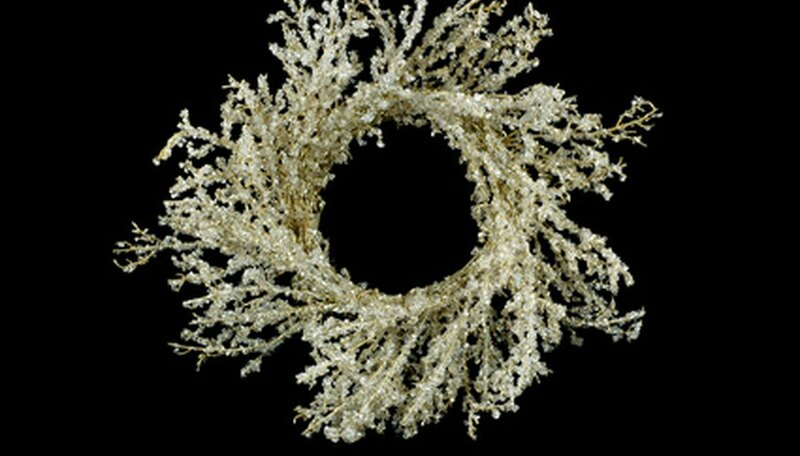 Dried baby's breath is used to make wreaths and dried flower arrangements. Baby's breath is easily dried and colored with decorative floral sprays. Baby's breath is dried in small pieces or in bunches of full stems. Harvest baby's breath when it is in full bloom. Notice the mass of tiny multi-petaled flowers at the top of the stems. Hand strip all of the leaves from the stems of the baby's breath. A pair of gloves will protect hands and a manicure. Place the stems of baby's breath upright in an empty container or vase. Place the container in a cool, darkened, dry room. The baby's breath will air-dry and turn a light tan color. Bind the stems of a handful of baby's breath stems with an elastic band or string for an alternative air-drying method. Hang the bound baby's breath bouquets upside down in a cool, dry room. Suspend them from a rack or a line of secured rope. It is important that the flower stems are positioned with air circulating around and through them. The room must be well-ventilated as drying gypsophila creates ethylene gas. The single-blossom Gypsophila paniculata is cultivated for dried flowers. Bristol Fairy and Perfecta are double-blossomed baby's breath cultivated for drying. Make sure the stems and flowers are free from moisture when placed to air-dry or mildew and mold may grow on them. A humid or moist room will cause the baby's breath to become soft and limp.